Through tears and tension, with love and loyalty, the Chaos crew rolls out one more time against those who seek to destroy them, in this remarkable, adrenaline-fueled finale. It was everything I hoped it would be and more. Kristen Ashley holds no punches in this utterly satisfying final chapter. For years, Rush Allen has watched his father, his brothers, fight and bleed for everything Chaos stands for – Wind, Ride, Fire, Free – and it’s come to a head in a war that threatens it all. A tenacious redhead finds herself at the center of the storm and Rush is drawn to her immediately, determined to protect her from the inevitable blows. Rebel Stapleton swore she’d avenge her murdered friend. She’d bring those responsible to justice. But in order to do so, she had to go deep, had to get herself into the thick of things no matter the cost. Rebel didn’t know the whole story, however, and she certainly didn’t expect a bossy, good-looking biker to intervene in her plans. Soon enough, the situation escalates in a way that has Chaos and their friends hitting pavement, in search of a man who’s leaving dead women in his wake. He’s got a score to settle with Chaos and a profound rage that fuels him. And as the situation at hand reaches a fever pitch, so does Rush and Rebel’s relationship—a love story in the making, deepening by the day. For Rush, for Tack, for Rebel and the others, the past and the future come together in a thundering clash. Friends gather, enemies swear alliance, loyalty is once again tested in this final, gut-wrenching showdown years in the making. 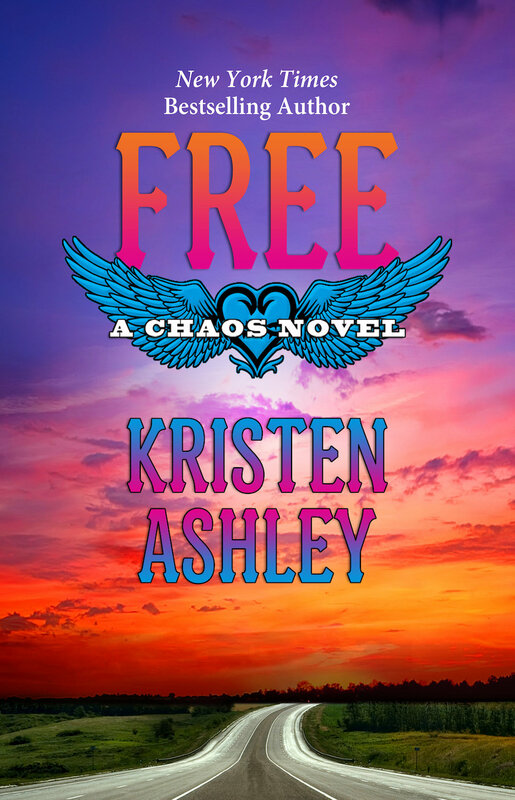 Ashley unmistakably infuses the very core of this saga with love, with the notion that we ought to be free to be who we are. That family, brotherhood, sisterhood, forgiveness and fealty are values to live by… values to die for. There will be no dry eyes in this tour-de-force finale, both bittersweet and beautiful. I can’t wait unti tomorrow for this book, it’s almost here!!! !